Pastor Tunde Bakare of the Latter Rain Assembly has blamed the political terrain of Nigeria for the choice of an elderly president. The former vice-presidential candidate of the defunct Congress for Progressive Change, who spoke during a press conference after his Sunday morning sermon titled, ‘The birth pangs of a new Nigeria,’ noted that France’s recent election of 39-year-old Emmanuel Macron as president was indicative of a global paradigm shift. Bakare said, “If you want to know whether the President (Muhammadu Buhari) is getting better (and) recovering, I said in the course of that message – he’s on the sure path to recovery. Give him time. Niger Republic has not seen their president for a while. “Nigeria needs an energetic leader but the circumstances of our polity have brought us to where we are that the same country that the likes of (Yakubu) Godwin ruled at the age of 30 is now considering people in their 60s and 70s to administer it. “What happened in France recently is a clear sign that there is going to be a change of guards almost worldwide. But let’s accept our own thing and resolve our issues with wisdom. According to the pastor, who ran alongside Buhari for the presidency in 2011, whenever leaders served with diminishing energy, a leadership vacuum would be created. He noted that nature abhorred vacuums and that leadership vacuums often allowed the likes of Adonijah and Absalom in the Bible to have a field day. Bakare said, “If the President is very healthy and able to discharge his duties, there would be no room for Absaloms and Adonijahs. Absalom was the firstborn whose inordinate ambition had no respect for his father, his benefactor, and was willing to consume him and drag him out of power. The clergyman added that though the constitution was ‘full of flaws’, it provided that in the event that the President could not discharge his duties, he must transmit power to the Vice-President to become acting President. “(Buhari) had never left without transmitting that power. So, there’s no trouble (this time round),” he noted. 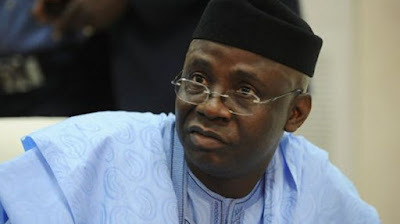 Bakare also had a stern warning for military officers conceiving an overthrow of the incumbent government.